Aerial view of large bridge over the sea at evening. Danish great belt bridge at sunset. 4k00:10Ocean sunset at pier. Horizon over water. Panorama. hd00:20Sailing. Seashore landscape, Thailand. View of the Sea sunset horizon. Beautiful Sea view as seen from the boat. Tourist ferry, Marine transport. 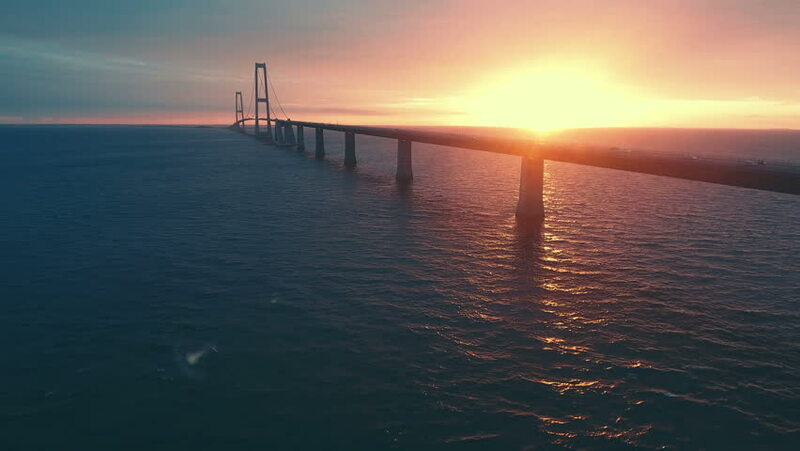 4k00:30An aerial view of large Storebaelt bridge over sea in Denmark with sunset in background.